Have you found an online vendor selling Cubaney Elixir? Raisins, lot of sugar. Sugar even in the aroma. Decent tail. Nice looking bottle. High end old fashioned label design. Surprisingly dark color although its only 68 Proof. 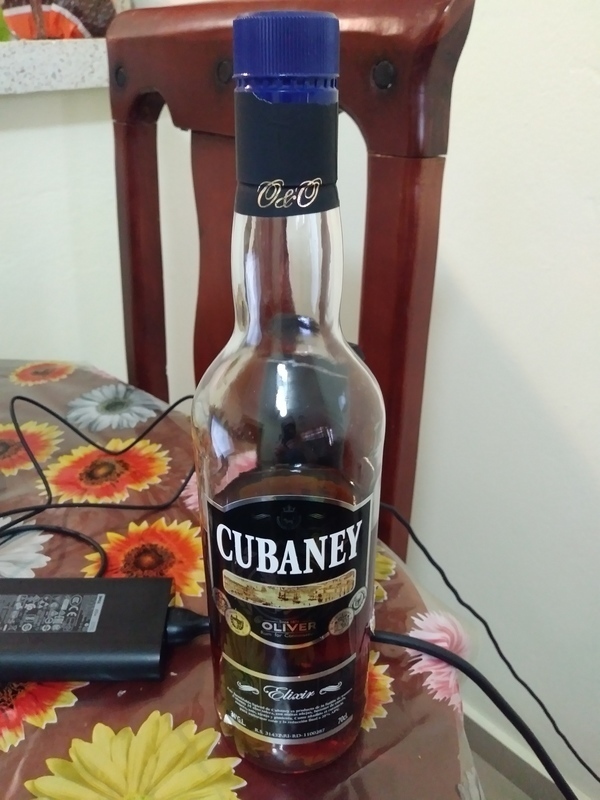 Bottle states that Cubaney 15y is used alongside spices like anis and caramel. Way too sweet to the nose and palate to be enjoyable. No burn, but your teeth will hurt from all the added sugar and who knows what. Sweet (well, its an elixir) and easy to drink. Sweetness and taste made by grapes, little burn towards the end and lasting sweetness, that's what this rum offers. I'm really surprised, I haven't been expecting something this good. It could be less sweet, but still, this is one great elixir. This liqueur is really best. The sweetness is perfect - slightly less that Legendario Elixir da Cuba, with a little spicy moment in the middle of the taste. Aroma is strong and sweet.